Liberty: online roll-out going marvellously. Purrrr…. 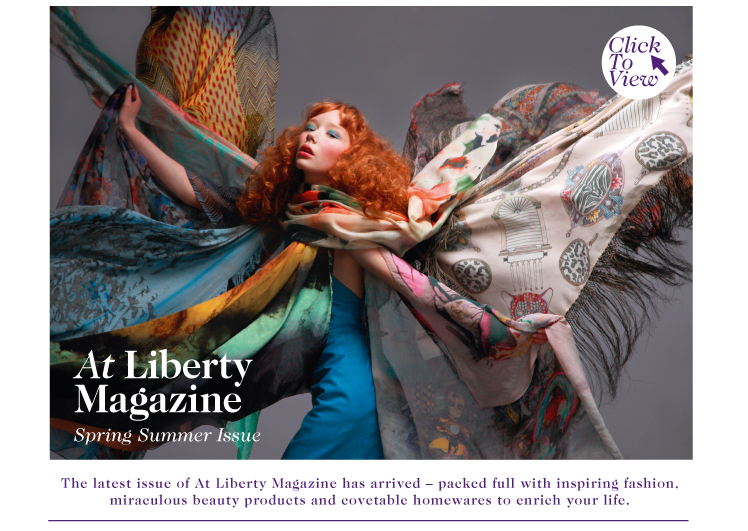 Liberty core site and blog (complete with magazine) always looks nice. Where the core site is resplendently, luxuriously purple, packed with attractive, magazine style ways-in, the blog is pared down, clean and uncluttered, with the branding sewn across the two by means of a simple logotype. An example of a) a holy grail-type job for a blogger and content editor who adores textiles, design and girlie products, b) a tied-up, multi-platform approach that hasn’t induced a total rebrand, and c) an up front ‘n blunt, unprententious marketing tool that knows good pics are essential to maintain the luxe of the brand. About all that’s needed, in fact. Enjoy!